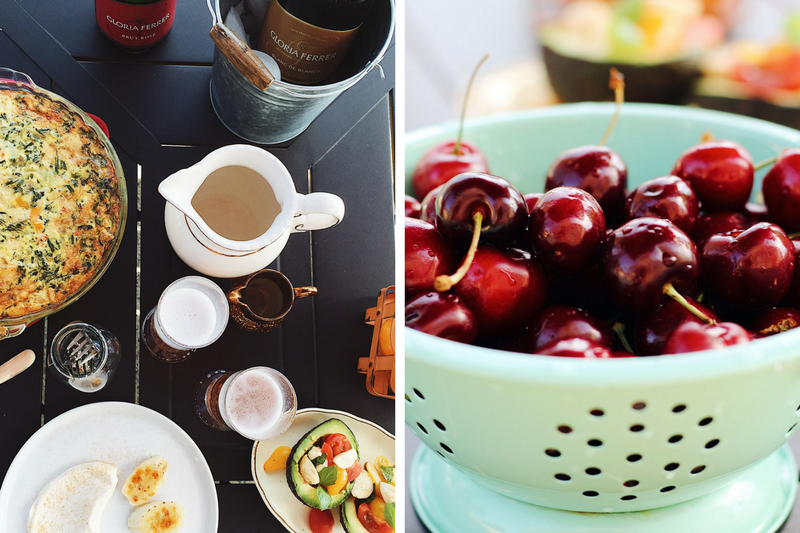 Hosting an Al Fresco Brunch makes for a lovely summer afternoon. 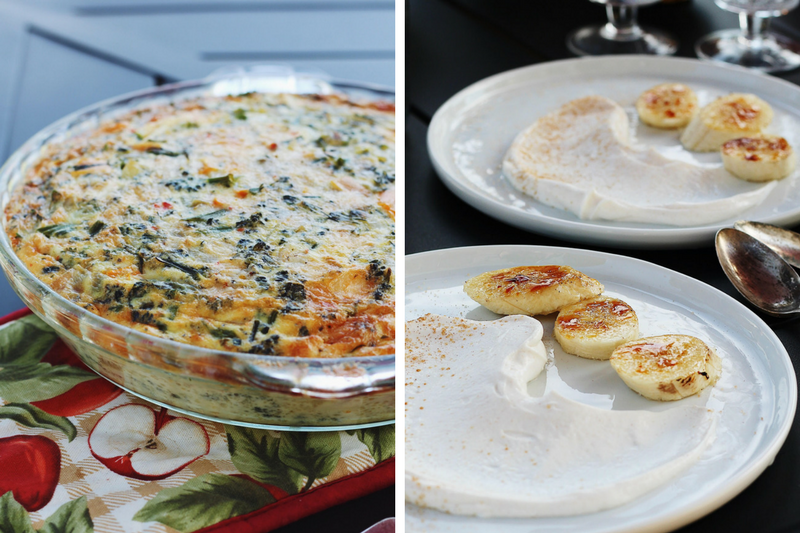 This brunch includes three simple recipes (Caprese Stuffed Avocados, Rustic Quiche, and Brûléed Bananas with Cinnamon-Honey Yogurt) and plenty of bubbly! I’ve never had a backyard in my entire life until now. My parents never owned a house, and we moved around a lot growing up (Military brat). When I moved out on my own, I lived in the smallest apartments in the biggest cities, without much of any greenery at all, let alone a yard. And now, I finally have a backyard! 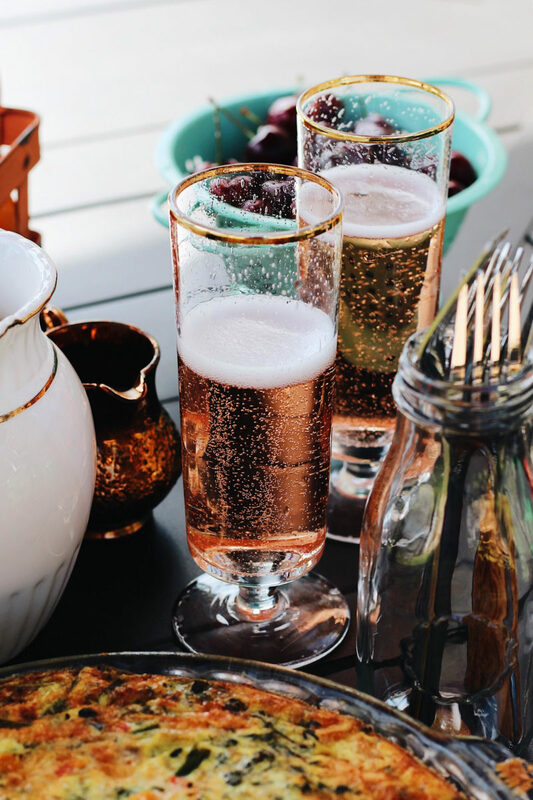 So you can bet on the fact that I am combining some of my absolute favorite things in this Al Fresco Brunch: being outdoors, springtime, sparkling wine, and food (of the breakfast variety, to be exact). The warm weather is here, and summer is officially approaching in just a few weeks. 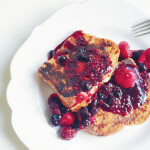 If you’re a brunch aficionado, as I am, this is a wonderful excuse to bring the party outdoors. I love to host. And, yes, sometimes hosting is a lot of work. But over the years I’ve learned that it really does not have to be. Simple, seasonal food and recipes are often the best. Combine that with good friends, some laughs, and a few delicious drinks, and you are set. And most of the time, what is everyone’s favorite part about brunch? The mimosas, and the bubbly. Sorry, but sparkling wine is my favorite. I am known for coining the phrase and the motto to my life: Champagne needs no occasion. Most people limit bubbly to New Year’s Eve or to be mixed with OJ. Why do people do this?! 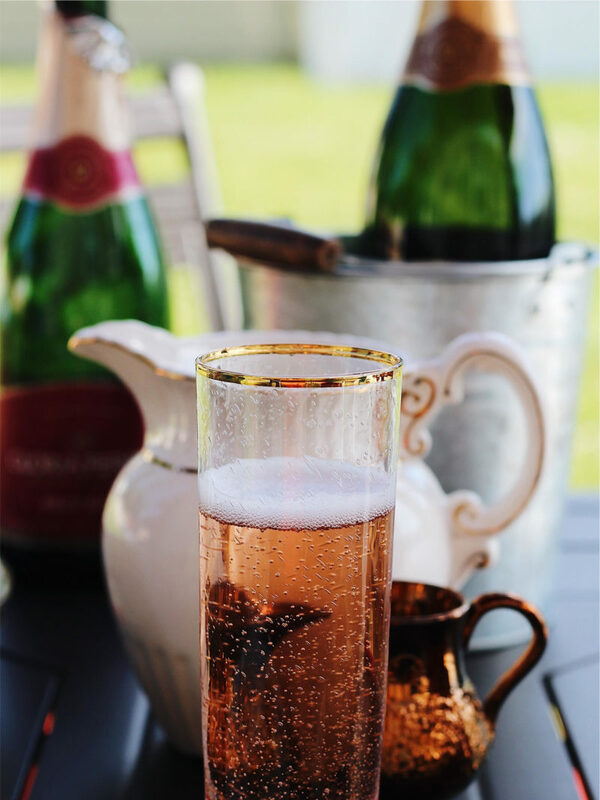 Champagne and sparkling wine should be enjoyed at any time at all. My friend Alison agrees with me and shares my infinity for the bubbly. We often veg on a couch in pajamas, watch something ridiculous on TV, and drink a fancy glass of the sparkling stuff. It’s our thing, and it’s amazing. The occasion? Any you want. A Thursday. An ‘I made it through the week’ celebration. Your dog’s birthday. Or no occasion at all. 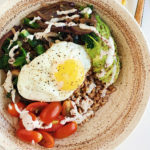 This al fresco brunch is simply a day to celebrate life, sunshine, loved ones, and some good food. You in? An outdoor area. This can be your backyard, a friend’s backyard, or even a park or lake (check with your local state laws though to see if public drinking is legal at the park). Cute and simple decor. Some fresh flowers, an umbrella for shade, charming baskets filled with fruit, and a few rustic ice buckets for keeping that bubbly cold! 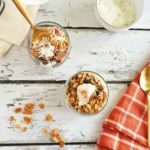 A variety of simple recipes. Key word: Simple! 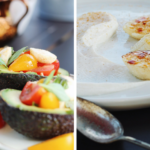 Below I’ll share some recipes for a rustic quiche (AKA crustless, also-also known as way easier), some caprese salad stuffed avocados, and a honey and cinnamon-laced Greek yogurt with brûléed bananas. Bubbles! Of course. 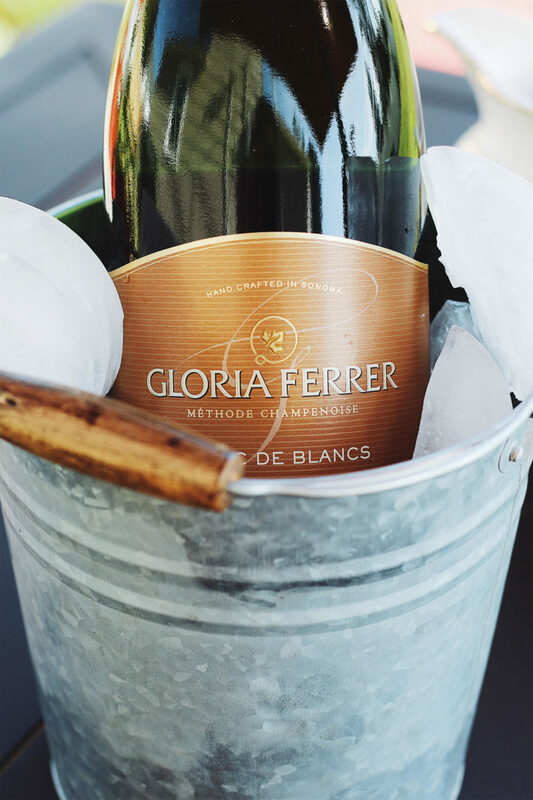 I choose one of my favorite sparkling wines here, Gloria Ferrer. The classic NV Blanc de Blanc is one of my favorites, but the new NV Brut Rosé absolutely stole my heart. It is so perfect for accompanying your al fresco brunch. Born in 1986 (like me! ), Gloria Ferrer was the first sparkling wine house in Sonoma County, and the first to plant clones they brought back from France. 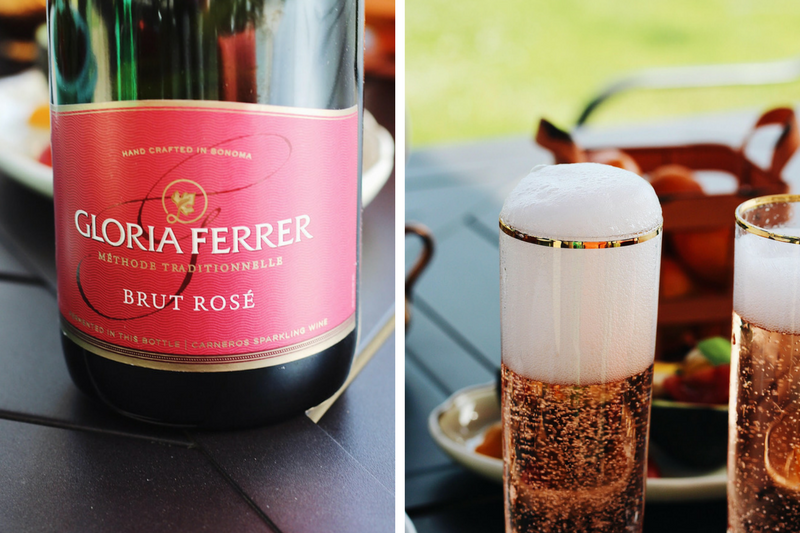 Thirty years and 335 acres later, Gloria Ferrer is producing some of the finest estate-grown still and sparkling wines, with over 500 gold medals and 50 90+ scores in just the past five years! The vintage Blanc de Blanc is beautifully balanced; dry but fruity, with lovely notes of crisp, refreshing apple and pear. 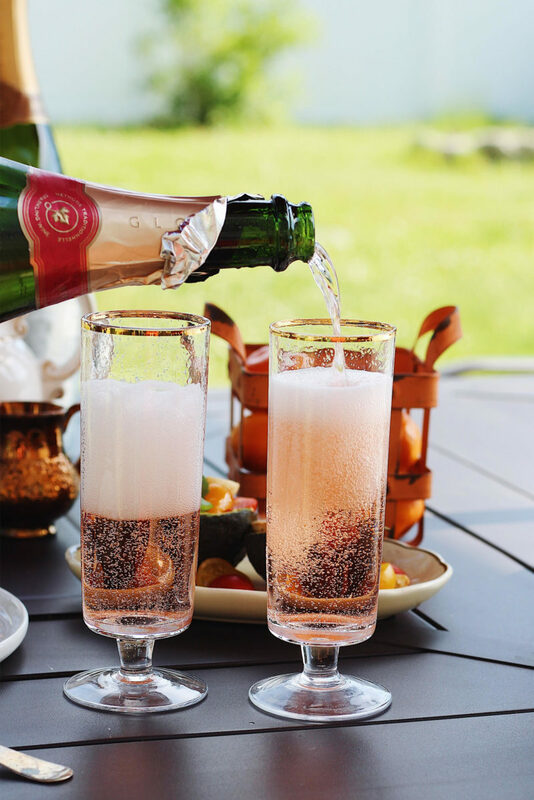 The Brut Rosé is floral and fruity, with ripe berry and citrus flavors, but is not overly sweet, which I love. 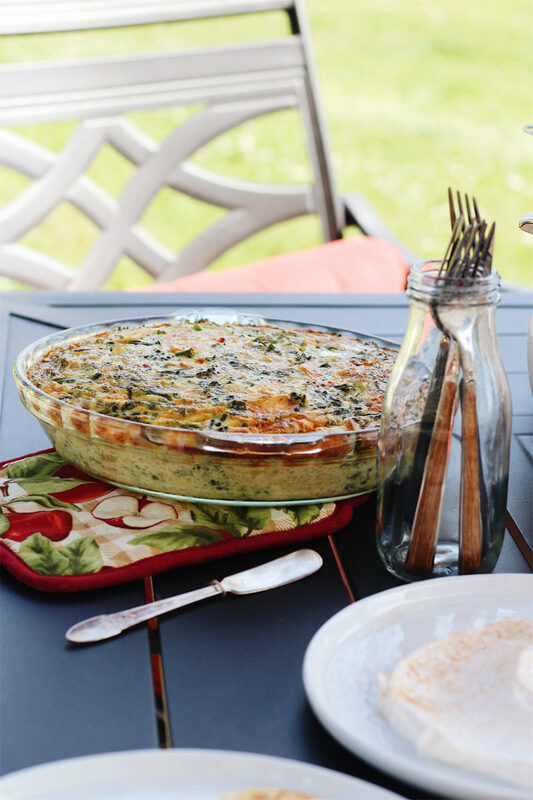 Both make the perfect addition to this al fresco brunch. Sides and additions. 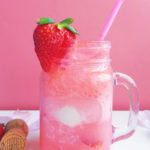 Complete the setting with plenty of fresh seasonal fruit, some iced coffee, water (preferably sparkling to continue the bubbly theme), and some music. And, there you have it. The perfect al fresco brunch to enjoy with your girlfriends, your significant other, your family, your favorite co-workers, etc. What better way to ring in the summer? I was selected for this opportunity as a member of CLEVER and the content and opinions expressed here are all my own. How do you ring in the summer? Let me know in the comments below! 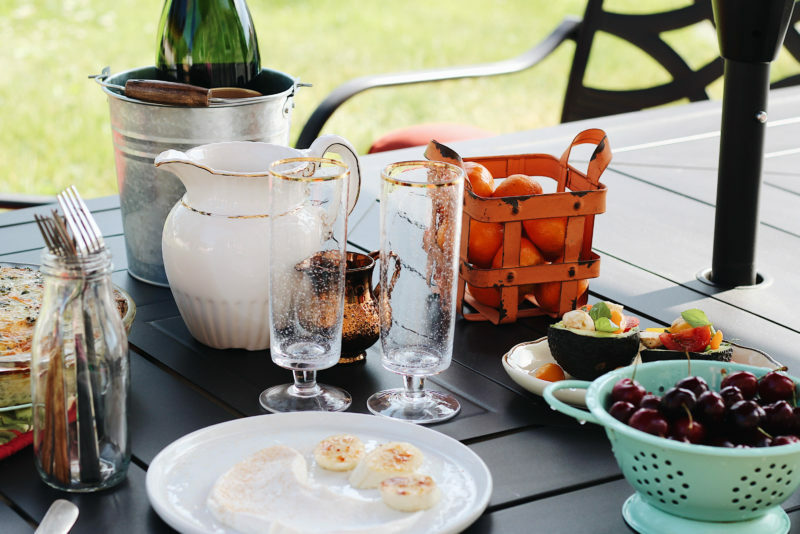 Hosting an Al Fresco Champagne Brunch makes for a lovely summer afternoon. 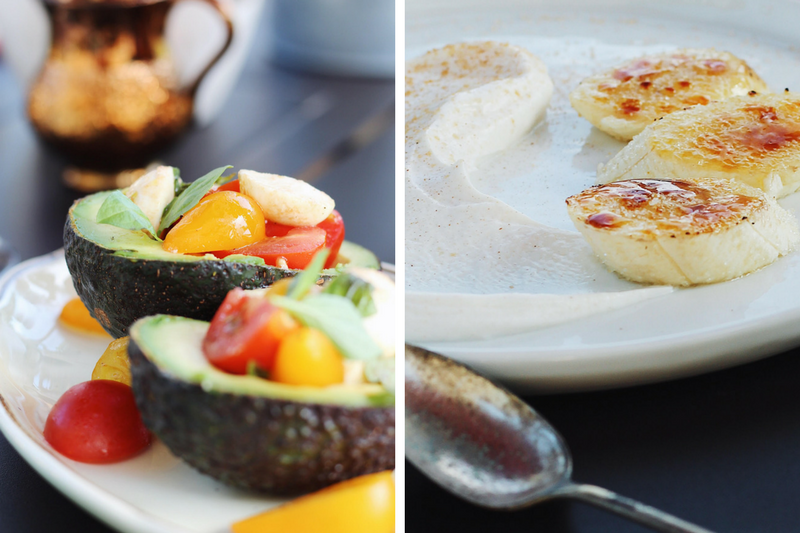 This brunch includes three simple recipes: Caprese Salad Stuffed Avocados, Rustic Quiche, and Brûléed Bananas with Cinnamon-Honey Yogurt. 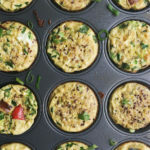 Follow the recipe instructions for either the Turkey Sausage Breakfast Casserole or the Chicken Sausage Quinoa Egg Bites. Both of these recipes can be made the day before. Toss together the tomatoes, mozzarella, garlic, balsamic, olive oil, basil, and sea salt and pepper (to taste). Scoop out a bit of the halved avocados to form a well, and fill the salad into the avocados. Garnish with additional fresh basil. 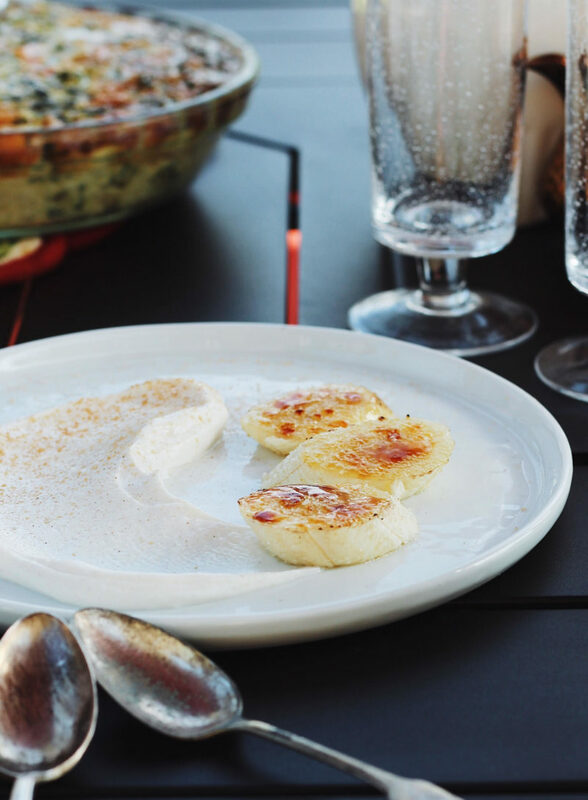 Sprinkle each of the banana slices with raw sugar and evenly torch with a kitchen blowtorch until caramelized, right before serving. 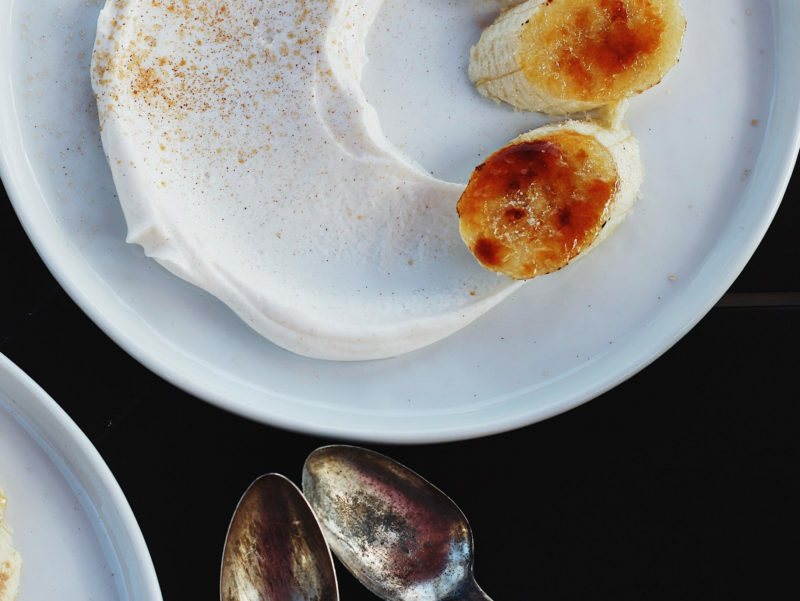 Serve the brûléed bananas alongside a scoop of the honey yogurt and drizzle with additional honey and a sprinkle of cinnamon. I loved this post. 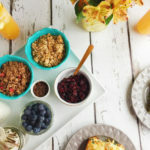 Your recipes and writing really sells the post as it is, but then with the addition of your photos – sells it even more! They help tell the story of the recipes/post and I really just want to be there haha. 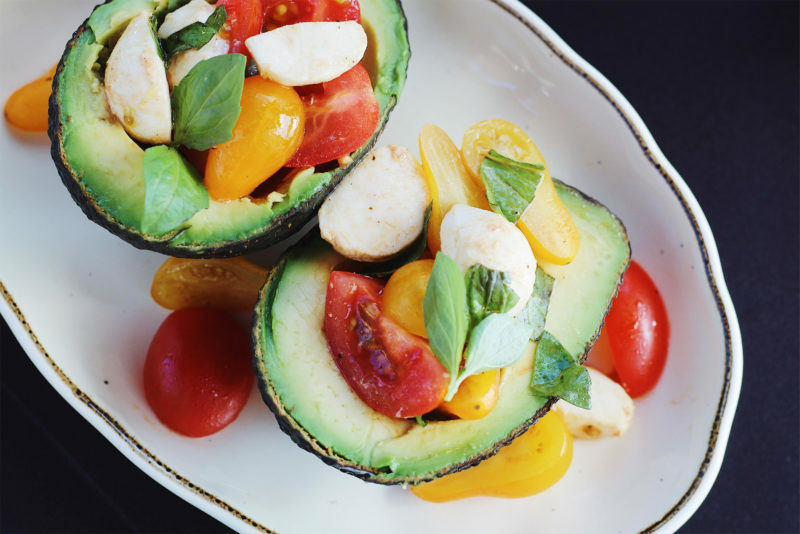 This all looks so great and boy I can’t wait to make those avocado cups! Looks so good! Yes…all the yes!! Keep that oj away from my nectar from the gods! They sent me these stars to drink and oj will only become the unwanted cloud cover on a stargazing night! Looking forward to our next pj-wearing, bubbly-drinking couch session!